Caboose 1108 at Irving, Texas on August 3, 1968. This entry was posted in RT Collection and tagged 1108, Caboose. Bookmark the permalink. I just noticed something interesting about this photo…. 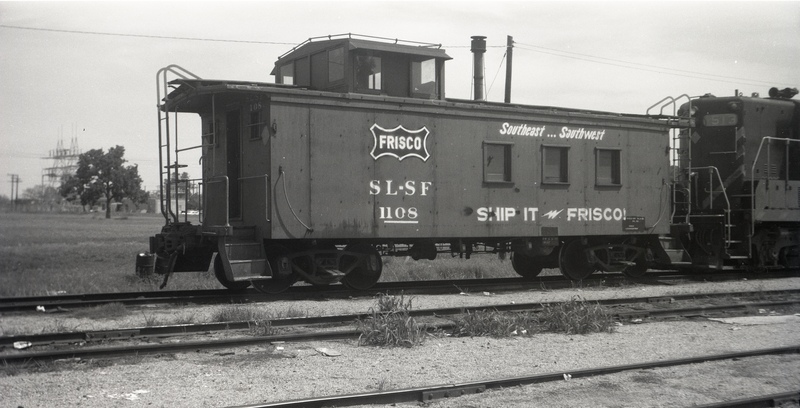 Clearly this caboose has been renumbered from 108, by the renumbering job is onlypartly complete. The number on the side has the additional 1, but the end number ( above the window ) still reads 108 and the photo is clear enough you can see that with only a little zooming. Good catch, Paul. This also gives good prototype justification for those of us who always seem to struggle with getting number decals to be perfectly straight!